A very melodious chirja. Composed and written by Adil, worth hearing. Sung by SS Ratnu. This chirja in praise of karniji maharaj was written and composed by Shri Sohandanji sa. This stuti was written by Poet named, Chayamji. This Karni stuti was written by Shri Kishor Singhji Barhaspatya. This stuti in ‘Chhand Harigitika’ was penned by Poet Anopdanji Beethu. This Karni stuti in ‘Chhand Arilla’ was penned by Dingal Maha Kavi Shri Hinglaj Danji Kavia of Sewapura (Jaipur). This stuti in ‘Doha chhand’ was written by Maharaj Prem Sinhgji of Rajlani (Jodhpur) (15.11.1915 — 01.6.2000) and is displayed in front of Goddess Karni mandir Mehrangarh fort , Which is known as Chanwad Mandir also, as Karniji was incarnation of goddess Chamunda. Maharaj Prem Singhji was a great poet . His poems can be seen in Mehrangarh (Jodhpur) fort library. He was a great polo player. He was awarded with Arjuna award by Govt. of India in 1961. He played and encouraged polo world wide. This Durga stuti was written by Mahakavi Hinglajdanji of Sewapura(Jaipur). This prarthana in chhand ‘Trotak’ was written by poet Jogidanji Kavia of Sewapura(Jaipur). Recital by S.S. Ratnu. This Chirja in Chhand Motidam was written by poet Bakthawarji Motisar of Viilage Seethal (Bikaner). This Aarti was written by Thakur Akshaya Singh Ratnu of Jiliya Charanwas(Nagaur) Rajasthan. This chirja in Chhand Tribhangi was written by Kavi Hameerji of Kutch, Saurastra. देवियाण महात्मा ईसदासजी की एक कालजय़ी रचना है. इसका भक्तिभाव पूर्वक नित्य पाठ करने से श्रीभगवती का सामीप्य अनुभव होने लगता है. Thousand of years back Indian sages had demystified the theory of origin of universe that the whole Universe visible and invisible (invisible is 95% of total) was originated from a singularity. This theory has been wholly accepted by the modern science and named as “BIG BANG THEORY”. In this Rajasthani poem (stuti) Mahatma Ishardasji has explained that theory. This stuti in Dingal(Rajasthani) was written by Mahadan Mehdu of Mewar (A princely state of India before 1947) in praise of Goddess Chalaknechi (Avatar of Goddess Chamunda ). A very melodious chirja.composed and written by Adil ,worth hearing. Sung by SS Ratnu. 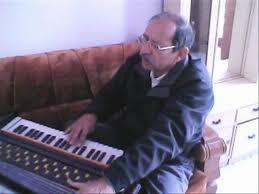 This Chirja/bhajan was written and composed by Thakur saab Akshaya Singhji Ratnu of Jiliya Charanwas(Nagaur). This chirja was composed and written by Ambadanji.Sung by me accompanied with casio SA 47 and recorded on Nikon Coolpix L21 camera. This Chirja was Written by Shri Akshay singh ji Ratnu of Jiliya Charanwas Distt. Nagaur (Rajasthan).His faith in Jagdamba was unshakable.He was a great poet of Hindi,Rajsthani,Brijbhasha and Sanskrit. 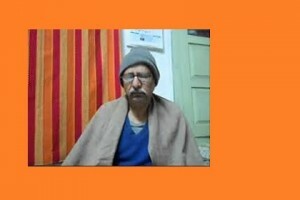 He was Principle of Sanskrit School Alwar in the earstwhile Alwar State. He was also a memeber of advisory council of Alwar State. Bahut Hi Sunder Gayan Surendra Sa Ka. Unki madhur aavaj main chirja sun kar man ko indriyatit anubhav hua.